Feedmix seeks to create secure livelihoods in rural areas, and help Filipino growers become globally competitive. By raising a growing quality food source, aquaculture farms will add to the region’s food security, helping the entire community profit. In our twenty years of business, we’ve enabled countless sustainable livelihoods and benefited many rural communities. 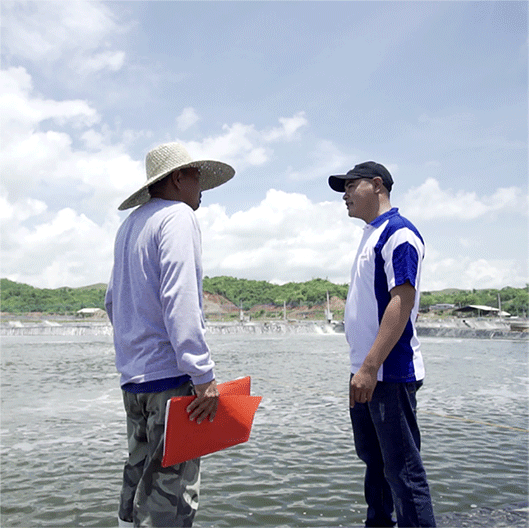 We made the aquaculture business accessible to everyday Filipinos by providing free technical support in all stages from pond site selection to design, operations, and harvest serving Milkfish, Tilapia, and white shrimp growers in Regions I, II, III, IV, V and VI. We have multiple BFAR accredited hatcheries in Luzon with vannamei shrimp post-larvae and fish fry: bangus, tilapia, and pompano. 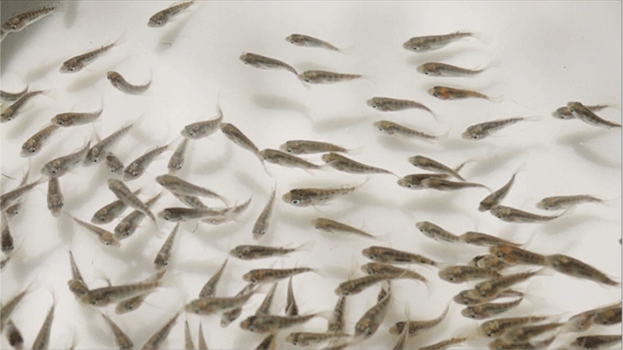 All of our fish fry and shrimp post-larvae are SPF disease-free. We are also expanding into breeding, hatchery, and grow-out operations for other high value species such as Cobia, Groupers, Snappers, Rabbitfish, Catfish, and Silverperch. We are proud of our high-tech support facilities, which are complete with water quality monitoring, microbiology, molecular diagnostic, and disease diagnostic systems. We adhere to best practices and are prepared for any eventuality with climate and disaster- ready emergency protocols. Our company has shrimp farm operations in Luzon that produces a high volume of Penaeus vannamei shrimp. These farms are stocked with SPF disease-free post-larvae from our BFAR accredited hatcheries. Our state-of-the-art multi-phase grow-out farms are designed with enclosed nursery raceways, which serves to provide a steady supply of juveniles to our fully lined grow-out modules. Biosecurity protocols are strictly enforced to protect each grow-out phase. Our farms incorporate the latest in intensive culture technology to established integrated systems, including biofloc technology, natural probiotics, automatic feeding systems, automated water quality monitoring systems, and water reuse technology. With the combination of technology and responsible management, we are able to produce healthy shrimp through sustainable and environmentally friendly practices. Fish fry and shrimp post-larvae – To purchase fish fry and shrimp post-larvae from our hatcheries and other accredited sources, please contact us at (044)913-0000 or sales@feedmix.com for more information. Farm Management Training – We have free training workshops and onsite services available for all of our customers, promoting natural methods of farm management. Please contact us at sales@feedmix.com or (044)913-0000 to schedule an appointment. 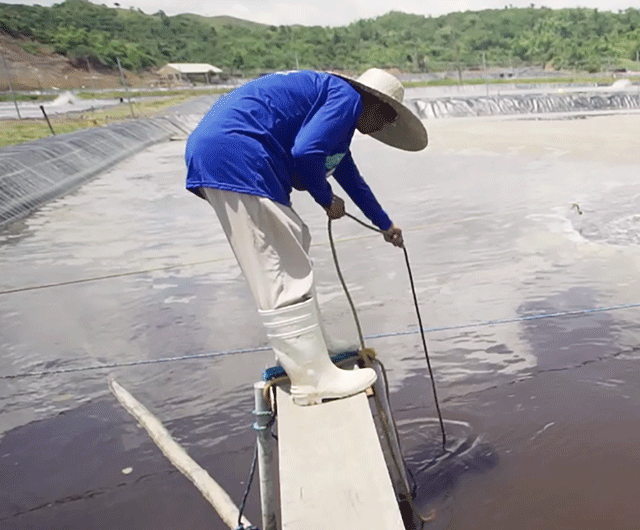 Contract Farming Opportunities – We have the technology to help grow your business, and we are eager to share the opportunities with you in shrimp aquaculture. In a contract farming arrangement, your company and ours will share the costs and profits of a farm over a 10-15 year period. Feedmix will provide the equipment, technology, security, and labour while your company will manage the property, accounting, physical inventory, and repair work. Please contact us at (044)913-0000 or sales@feedmix.com to learn more.